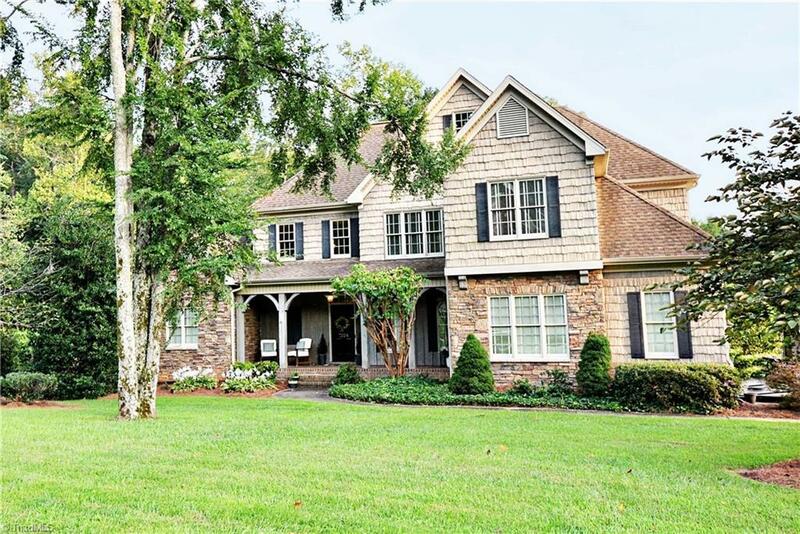 7224 Styers Crossing Lane, Clemmons, NC.| MLS# 899813 | North Carolina Farm and Vineyard Specialist Patria Properties Inc.
Gorgeous luxury home in Clemmons! Kitchen w/ stainless and granite counters. Formal dining room, breakfast area + keeping room. Master on main w/ dual vanities, water closet, tile shower and jetted tub. 3 bed/3 bath + bonus (w/closet and bath) and 2nd w/d hookups are on the 2nd floor! Basement w/ 3 flex rooms + bath - perfect in-law/teen suite! Large corner lot has fenced garden, sprinkler system, room for pool. 3rd garage below w/ 2nd driveway. Great schools and close shopping! Agent related to seller. Fixture Exception Description: Cameras Convey, But Hard Drive Recording System Does Not.